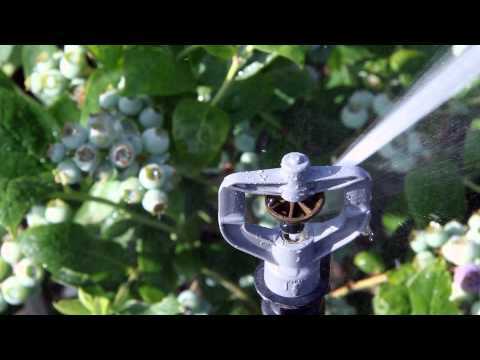 These Rotator sprinklers perform reliably in the mid-range between a micro sprinkler and a standard size sprinkler and provide high uniformity and optimal soil infiltration. Choose from the P6 9° Blue, P6 15° Purple, P8 15° Gold, or P8 24° Brown plates. Applications include: under-tree irrigation and environmental control of tree fruit, vine, and tree nut crops — as well as overhead irrigation, cooling, and environmental control in tree, vine, small fruit, and nursery crops.